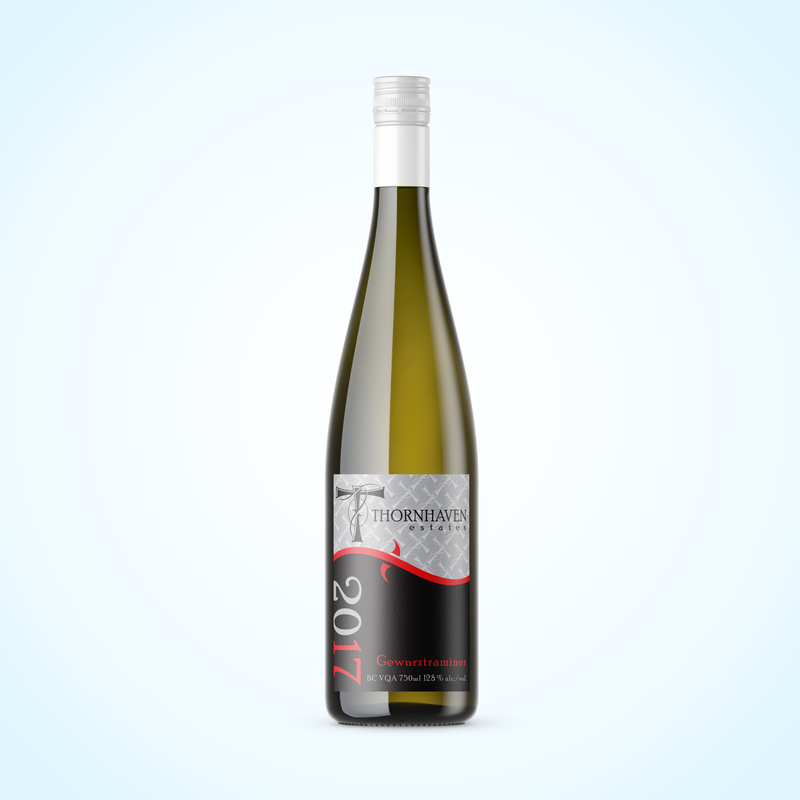 Our snazzy “G-Wine” Gewurztraminer is rich and flashy with classic lychee, potent floral perfume and sweet tropical aromas and flavours. It is rich and confidently off-dry with a persistent orange marmalade finish. Enjoy on the patio or pair with spicy foods, teriyaki stir-fry or roast turkey. Gewurztraminer is a pink-skin grape variety that produces some of the world’s most distinctive aromatic wines. Its perfumed style is somewhat polarizing; fans adore its intense floral scent and sweet-spice flavors, while detractors lament its low acidity and lack of subtlety. Gewurztraminer means “spice Traminer” (Traminer Aromatico in Italian), in reference to the grape’s heritage as a mutation of the Traminer family of grapes. Up until 1870 it is simply known as Traminer in Alsace, and even until the 1970s both Traminer and Gewurztraminer describe as the same grapes. The Traminer family is notorious for its genetic instability. Moreover, tt’s parentage is as hard to trace. It seems most likely that Gewurztraminer is the musqué mutation of the Traminer family, also known as Roter Traminer (Savagnin Rose). The best examples of the grape are generally from the Grand Cru vineyards of Alsace. Some argue that Alsace is the spiritual home of Gewurztraminer, despite the fact that it is not its ancestral home and the grape accounts for less than one-fifth of vineyard area in the region. As we know it today, it arrives in Alsace from the Pfalz region. The rich clay soils present in Alsace proves an ideal environment to produce full-bodied Gewurztraminer wines. The richness of both dry, and late-harvest, This type of wine in Alsace set the benchmark for which the variety is judge. Furthermore, the primary aromatic descriptors that define it are typically lychee, rose petal, Turkish delight and perfume. On the palate it is full texture, low acidity, stonefruit (mango, peach and apricot) and spicy (ginger and cinnamon) flavors. Somewhat confusingly in Australia, the variety is ‘Traminer’. 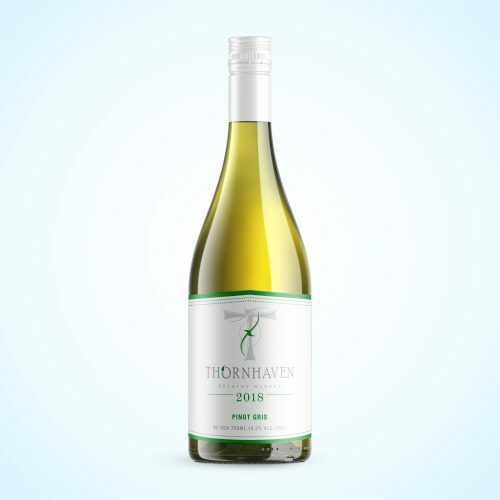 The recent discovery that a small amount of actual Traminer is grown in Australia amplifies confusion –For many years prior to 2009 it misidentifies as Albarino. Lastly, growing outside of Alsace, notable examples are from New Zealand, Oregon, Washington, Germany and northern Italy. These wines rarely export, and fall under a wide number of synonyms in eastern Europe. Synonyms include: Traminer Aromatico, Traminer Musqué, Traminer, Gentil Aromatique, Savagnin Rose Aromatique. Syrah based with cab franc . 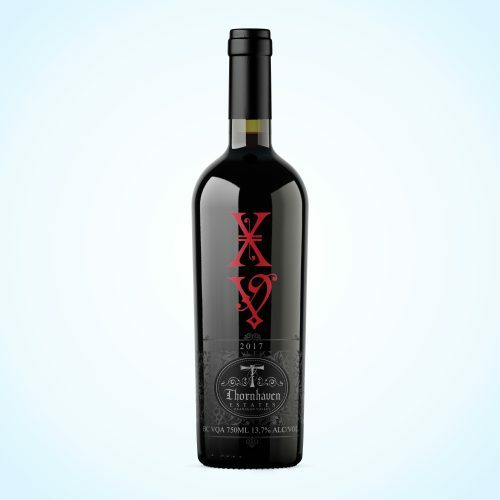 Smooth and soft medium bodied with notes of ripe plum and cherry. Pairs well with meat dishes.